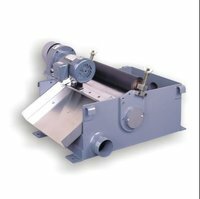 With an extensive industry experience, we have emerged as a reputed manufacturer, supplier and exporter of high quality Magnetic Separator. These are manufactured using high grade raw material that are sourced from reliable vendors of the market. Our products are widely preferred for their high efficiency, robust build and high durability. These are widely used for iron metal grinding operations. The offered product has exclusive ferrite magnet designs that assure minimum cleaning cost and bulk removal of the ferrous material. Our company is a client oriented organization and therefore, we strive to understand the varied requirements of our clients. 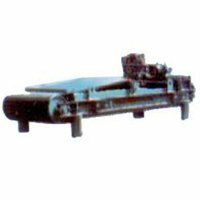 As a result, we provide Magnetic Separator in different sizes and specifications. These are capable of isolating ferrous magnets less than 25-35 microns. In this competitive market, the offered range is known for their excellent finish, reliability and high magnetic force. Apart from their striking attributes, these are also preferred for their long lasting nature.